Bible Alphabet – f is for field where treasure was found. | Let their light shine! Bible Alphabet – f is for field where treasure was found. In the Bible Alphabet at Toddler group we are on to ‘f’. I decided to go with field – the story that Jesus told about the man who found treasure buried in a field, sold all he had, bought the field and then owned the treasure. You can find the story in Matthew 13:44. To tell the story – I had a small treasure chest hidden under a green cloth and a spade. I went digging in someone’s field (it is important to mention that it belonged to someone else) and found the treasure – was anyone looking? No! So I hid the treasure and went and got all my stuff to sell. For this I had a bag of my stuff – a picture of a house, a toy car, my phone, a laptop, chocolate biscuits, a shirt – all sorts of things – to show that everything was sold. Then I went back and bought the field and dug up the treasure which now belonged to me. Main teaching – knowing God is more important than anything else. Note – the story is a parable so I felt quite happy to add a few anachronisms. Simple craft – A4 brown sugar paper folded in half. From the folded join draw a treasure chest shape and cut so you have a treasure chest that opens on the join. 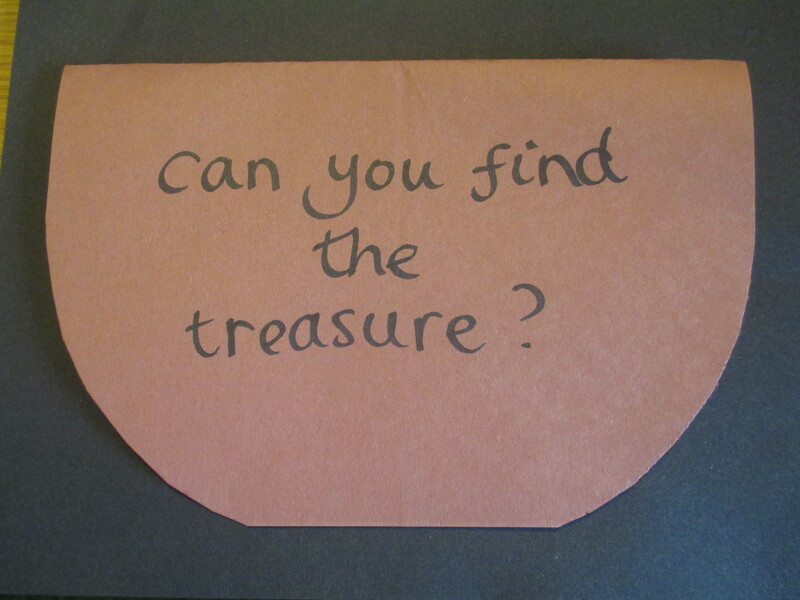 Write ‘Can you find the treasure? on the outside. Children glue ‘treasure’ inside. Make sure they are left to dry open or they will stick closed. 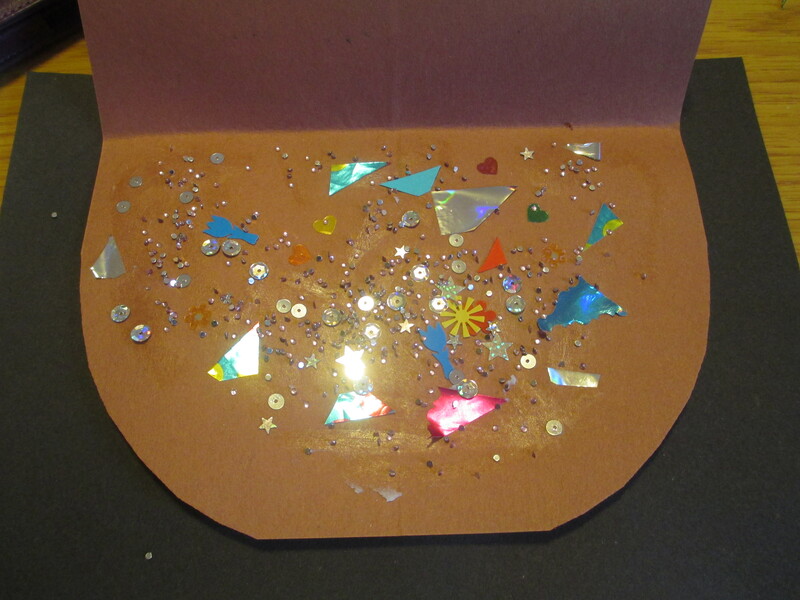 I used some small glittery shapes that could be sprinkled over the wet glue. Very effective, lots of fun and messy!